Reflection Touche Chromatique is the 1st personalized color correcting care for color-treated hair from Kérastase. Ultra-concentrated direct dyes revive color and neutralize unwanted tones. It adds a subtle deposit of color to prolong color intensity for long-lasting results between salon visits. Your stylist will diagnose your hair needs and select the appropriate fuse of active ingredients. 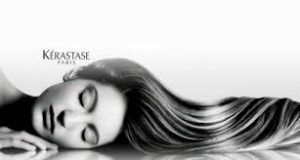 Infusing them using Kerastase’s exclusive technologies, ultra precise micro-diffusion on the hair creates a targeted action and in-depth penetration. The hair fiber is fundamentally treated and instantly transformed. The Kérastase Luxury Treatment Masque Ritual is a crucial part of the Kérastase Experience. This relaxation treatment includes a warmed masque applied by using a rejuvenating scalp massage that includes the physiological stimulation of the muscular, circulatory, lymphatic and nervous system. Relax while our steamer aides in the penetration of the masque. This Treatment combines luxurious advanced technology and unique sensory experience. The extremely rare, Chronologiste “caviar” beads are combined with an activator that forms a thick, rich paste that is then applied to separated sections of hair. While the water and vitamins provide nourishment and hydration, the lipids in the fatty acids adhere to your hair’s fibers in order to smooth them and protect from UV rays. This restorative treatment sublimates all hair types, from scalp to ends. Hair is left incredibly soft, supple and shiny. The integrity of the hair is preserved and the scalp is regenerated, soothed and hydrated. Treatment includes scalp massage and warmed towel for ultimate relaxation.